Six weeks after announcing Timeline, Facebook fans are still waiting for the social network to roll out its new profile layout that helps you organize and surface your past Facebook activity. CEO Mark Zuckerberg called Timeline "the story of your life" and a "new way to express who you are" during an Apple-inspired keynote presentation at Facebook's F8 developer conference in September. At the time, Facebook said Timeline, which will replace the current user Profile view, would be available in a "few weeks," but more than a month and a half (and one lawsuit later) users are still waiting. 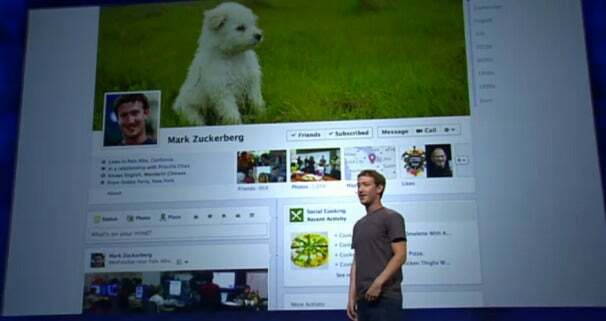 Mark Zuckerberg shows off Facebook's new Timeline feature on Sept. 22 at Facebook's f8 developers conference. While regular Facebook users wait for Timeline, developers are signing up in large numbers. A Facebook representative told PCWorld that about 1.5 million people are already using Timeline as part of the social network's beta test open exclusively to Facebook application developers. Facebook said it has yet to decide on a specific launch date for the new profile layout and reiterated its promise to roll out the new feature in the "next few weeks"--a familiar refrain. The company also declined to say why it hasn't rolled out the new feature yet, and some are despairing they may never see Timeline. The blog All Facebook in late October held a poll asking its readers, "Will we ever see Facebook's Timeline?" (37 percent said it will launch once a trademark lawsuit is settled, 27 percent voted it's likely too buggy to launch, 12 percent said "never", and 18 percent voted "who cares." One possibility for the apparent delay may be a trademark infringement suit filed by Timelines, Inc. on September 29, one week after F8. Timelines is a crowd-sourced website that is trying to build a comprehensive record of historical events using video, photos, Wikipedia entries and expertise from its users. 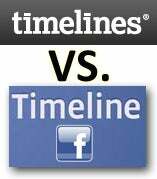 Timelines believes that Facebook's use of the term "Timeline" will confuse users and could even threaten the smaller company's business. If Facebook is allowed to use the term Timeline in its new profile layout, Timelines contends in court documents, the social network "will essentially eliminate Timelines and leave the public with the confusing impression that...Timelines and Facebook are somehow affiliated." Timelines filed for a temporary restraining order against Facebook's use of "Timeline" in September, but the request was denied. The parties are due back in court in December. It seems unlikely that Facebook would halt production of Timeline over a trademark infringement lawsuit, especially after a judge denied Timelines' request for an injunction. It's also unlikely Facebook would delay its Timeline feature based on a predictable backlash, but the reaction of its 800 million users may be weighing on Zuckerberg's mind. According to USA Today and Gallup survey of those familiar with Timeline and recent Profile changes (friend lists, ticker of real-time activity, and the subscribe button) 56 percent don't like the changes. Thirty-four percent had a favorable opinion of recent and imminent changes. Changes to Facebook almost always make the company a lightning rod for criticism. (See: Facebook Redesigns: A Long History of Pointless Backlashes) Timeline, which will replace the existing user Profile, will significantly change the look, feel, and function of Facebook. The introduction of Timeline could spark Facebook's biggest backlash to date. With Google's Google+ social network gaining momentum--currently with 40 million users--Facebook maybe feeling as if it needs to get this big update to Facebook right. That includes putting the finishing touches on the new layout, making sure privacy controls are clear, and squashing the programing bugs. The company recently added a new feature that lets you change the date of a status update so that it appears at a specified point on your Timeline. If you graduated from high school in June 1992, for example, you could add a status message for that date such as "Yeah! Just graduated high school." Facebook is also experimenting with a new interface for the status update box and other minor UI tweaks. Timeline's new status update box (left) and the original design (left). If you're done waiting and want to activate Facebook's Timeline right now, you can try signing up as a developer using PCWorld's Facebook Timeline activation guide.